Do we go for a draw on Friday? Is anyone being put OFF football..
Not really. You just can't begin to compare the elites of the game to our situation. Then just think about what you're saying about Reach. Had done nothing, still done nothing, £5 million and bargain. Maybe it's a generational thing, but I just struggle to normalise these sums of money. The fact that anyone can is worrying. As Holmes said, the whole thing needs an overhaul. Very much so. The silly money is what does it. For me, when we signed Reach last year - £5m+ for someone who hasn't done anything - Bonkers. No, it's a Buddhist thing in Thailand. 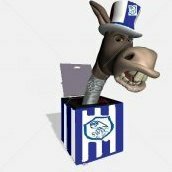 Investors trade £4.15m for Sheffield Wednesday business park?